Home to the sixth annual Southern-Fried Gaming Expo, the recently updated Renaissance Atlanta Waverly Hotel & Convention Center is a family-friendly hotel conveniently located off I-285 and just minutes from everything. Offering easy access to numerous shops and local eateries, it is the perfect location for the 2019 Southern-Fried Gaming Expo. 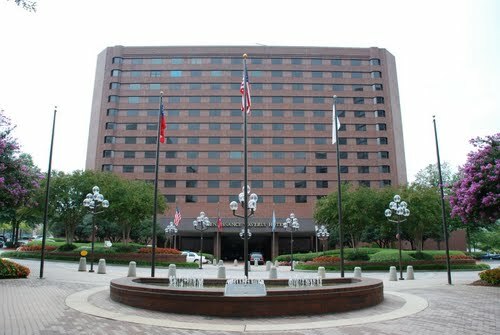 Directly connected to Cobb Galleria Convention Centre, this AAA 4-Diamond hotel in the Atlanta area is the crown jewel of this shopping and office complex. Guests of the hotel can enjoy the convenience of nearby Cumberland Mall and Vinings Jubilee, while downtown Atlanta and Hartsfield-Jackson International Airport are just a short drive away. The hotel provides superior, oversized guest rooms, high-speed Internet and innovative dining options, making this Atlanta, Georgia, luxury hotel the preferred destination. Experience our host hotel featuring classic elegance at Renaissance Waverly. The special $129 room block rate is available at the link below.